The International Society for British Genealogy and Family History has been around a long time – longer than it takes to say the full name. Many of us who have been involved for years talk about “ISB” not only for convenience, but because the nickname suggests what the organization is – small, practical and friendly. Back issues of the journal, now called British Connections, show the efforts made to offer practical assistance and the best advice. There are contributions from noted genealogists such as Paul Smart, Susan Lumas, Stella Colwell, Rosemary Bigwood, Jean Cole, and Iain Swinnerton. Topics are varied and many of the articles are as helpful today as they were when written. It is possible to track ISB’s efforts to reach out to members. In the beginning when books published in the UK were difficult to find, ISB sold books. First mention of e-mail appeared in an issue of 1996 and it was not long before the organization had an e-mail address, and eventually a website. The Society continues to evolve but it retains its original purpose. 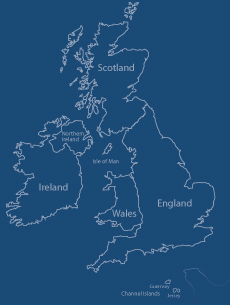 ISB is here to help members overcome the challenges of researching British Isles roots from a distance. ISBGFH is not able to conduct research for either members or non-members, nor is it able to recommend specific professional genealogists to help others with their British Isles research. We recommend checking the “Find a Professional” section of the Association of Professional Genealogists website, the “Find a Genealogist” section of the Board for Certification of Genealogists website (check for both “Country” and “Geographic Areas” specialties), or the “Find an AG® Professional” section of the International Commission for the Accreditation of Professional Genealogists website.